Mining and Energy | Pumpaction inc.
A leader in the mining and energy sectors for over 25 years, Pumpaction understands the industry’s needs and processes. Whether moving liquids, dewatering pits or underground work areas, moving solid-laden water, disposing of residue or shotcrete activities, our team of experts has what it takes to make your job easier. 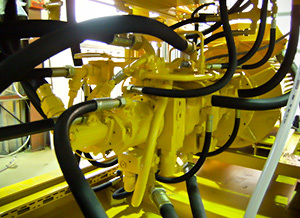 We also offer a repair service and pumping equipment leasing. We offer solutions tailored to your needs and budget, combined with technical support and after-sales services that will exceed your expectations. These solutions let you optimize and effectively support your mining operations. We have a highly skilled and efficient team of project managers. You receive the budget price within the timeline required, based on your recommendations. We deliver theoretical and technical training on all of our products and systems. Put us to the test! We offer a complete bid-preparation service, a wide range of equipment for lease and unparalleled technical support and after-sales service.